Politics and Opinions - Opinion: When Democrats Accidentally Told The Truth, America Hated It, & The Media Tried To Pretend It Never Happened. Opinion: When Democrats Accidentally Told The Truth, America Hated It, & The Media Tried To Pretend It Never Happened. See the Left in America is so drunk on their newfound power they’ve lost any sense of sober articulation of their beliefs. He has been correct, he may still well be. 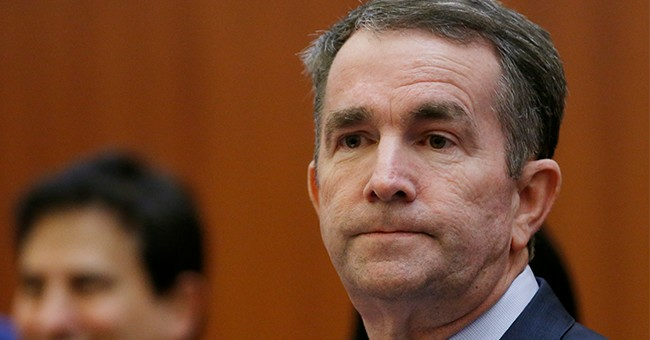 The recoil over the Virginia governor’s grotesque peeks behind the curtain over “born alive” babies were but one in the latest string of abortion-mania that Democrats have been feeding on. New York State codifying the actions described by the Virginia Governor aside, decided to go so far as to grant protections into law most of the horrifying criminal actions Kermit Gosnell got sent to prison for. Now Virginia, Rhode Island, Massachusetts, California, Oregon & Washington state all hope to follow suit. The average voter doesn’t realize that these bills do all of this. He or she are simply told by the dishonest Democrats in their states that these measures simply reinforce Roe v. Wade on the state level. Roe only guaranteed a “right” to an abortion until the viability of the child. Casey seems to affirm that 24 weeks is the commonly recognized timeframe. Democrats lie, they conceal their true intent, and the media gives them cover. As of the writing of this piece, none of the mainstream networks have done any stories discussing the Virginia Governor’s comments! More of them covered the controversy of his yearbook photo, his apology for appearing as a Klansman or in blackface, his staunch denial the following day, his previously unmentioned use of blackface in 1984 imitating Michael Jackson, and his racist refusal to shake a black opponent candidate’s hand at a debate. Somehow that *issue* seems to trump a death panel deciding whether a born baby has the right to live. America is repulsed by all of this. Gallup’s work on this matter shows that 60+% of Americans think abortion should only be legal through the first trimester. 87% believe it should be banned in the third trimester. Less than 3% believe “abortion” should be used on a child already born. It was ghoulish enough when the New York State Senate decided to give a standing ovation for the bloodthirst codified in the bill they passed and Governor Cuomo bragged about before signing into law. They are lying about it. The media is ignoring it.